We offer unlined paper that is perfect for brainstorming and diagramming as well as lined paper that is ideal for more structured processes like outlining. The pages on these products are also perforated at the top, so they are easy to tear off without accidental rips. Additionally, pair our easel pads with a variety of colored markers to color code your information or an easel to display your visuals easier. Also make sure to check out other great items from Ampad, National, Pacon, Quartet, TOPS and Universal. 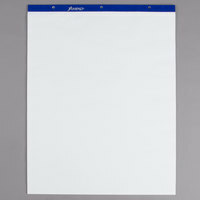 Easel pads are an excellent option if you’re looking for a temporary writing surface. We offer products with pages that are easy to tear off, making them a great option for brainstorming meetings or presentations. In addition, you can use this product for brainstorming sessions or for preparing visual aids ahead of time for your presentation. 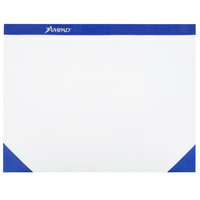 For other display products, check out our display board accessories, dry-erase boards, and chalkboards. If you're wondering where to buy ampad easel pads, we have a large selection of ampad easel pads for sale at the lowest prices.